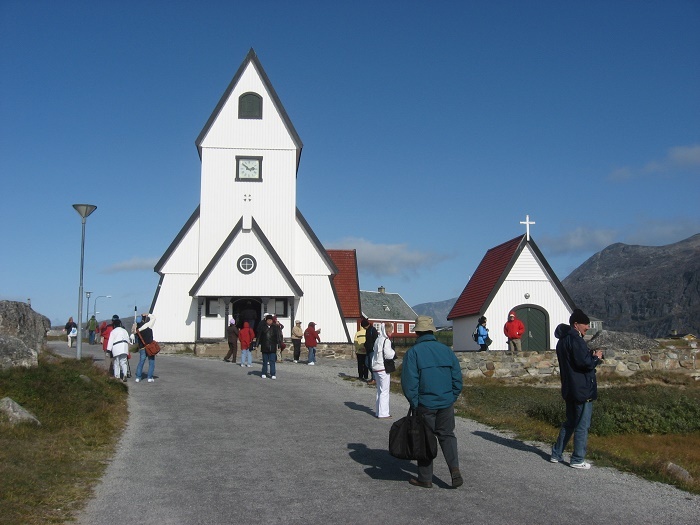 Nanortalik Church is a unique church that is part of the Diocese of Greenland, and located in the city of Nanortalik in the south of Greenland. As the city stands literally and figuratively, one can notice the church when visiting this interestingly beautiful city. 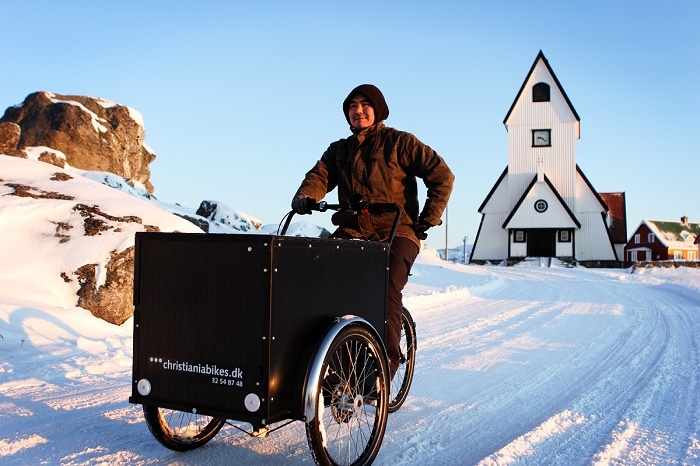 The white wooden church was built and also consecrated in 1916, however, it is the single church in the city to serve the Nanortalik congregation. 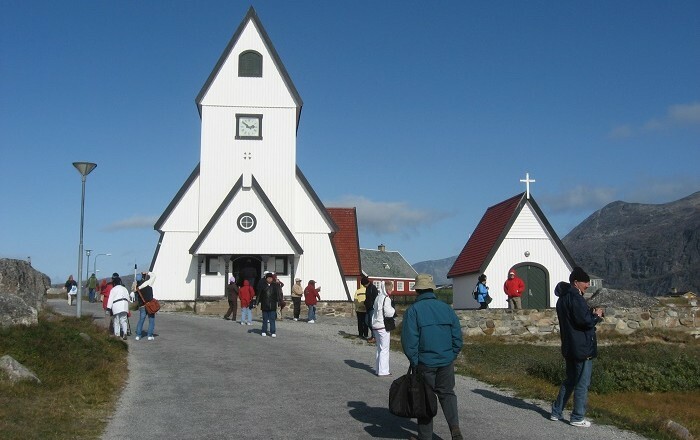 Due to the small size, and the growing population in the city, the church becomes smaller and smaller to accept every believer for some festivities. 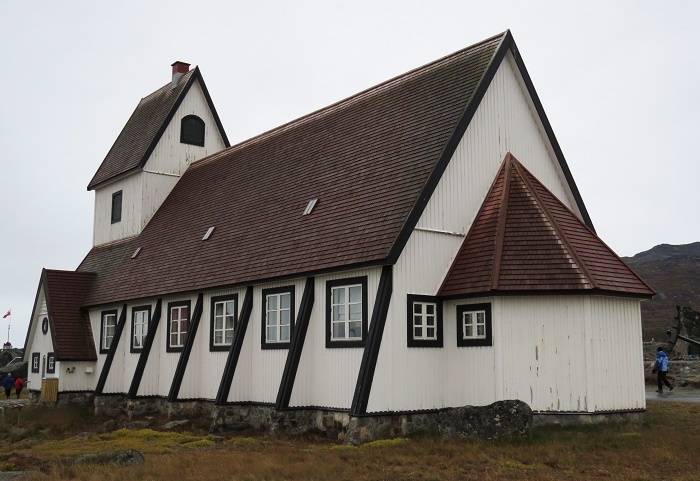 That is why the city is trying to find a suitable place with the purpose of constructing another, additional church for the congregation. 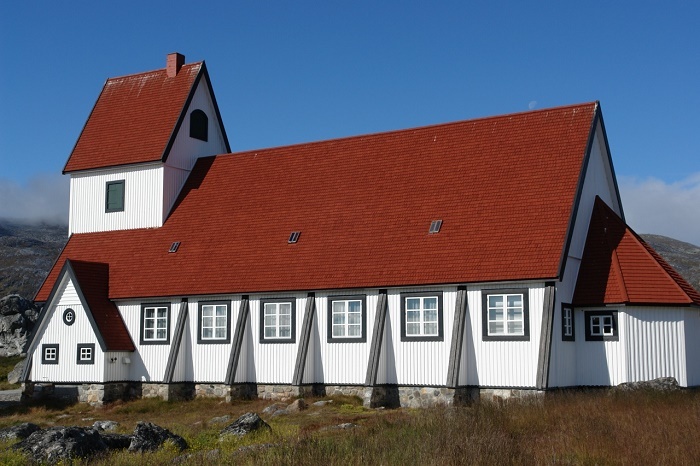 Due to the importance the church has, being older than 100 years, it is part of the old colonial quarter of the town, but also it enjoys protected status since 2004. The interior of the church as one would expect from a Lutheran church. When entering there are single chairs placed on both sides of the church, where at the end one can notice the small altar. 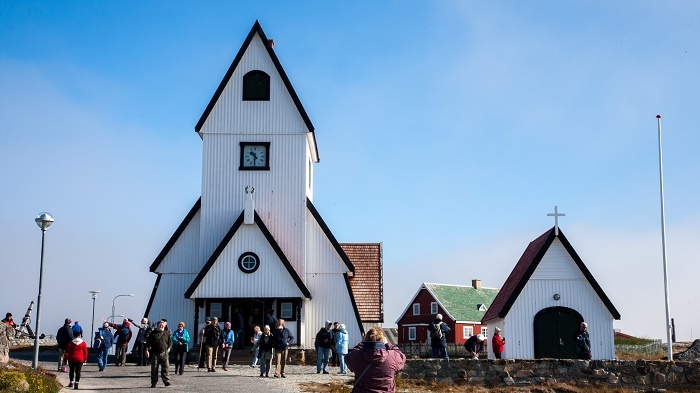 On the right side of the altar is located the oldest organ that can be found in Greenland, built by the Danish firm Gregersen in 1861, and also recently has been restored. 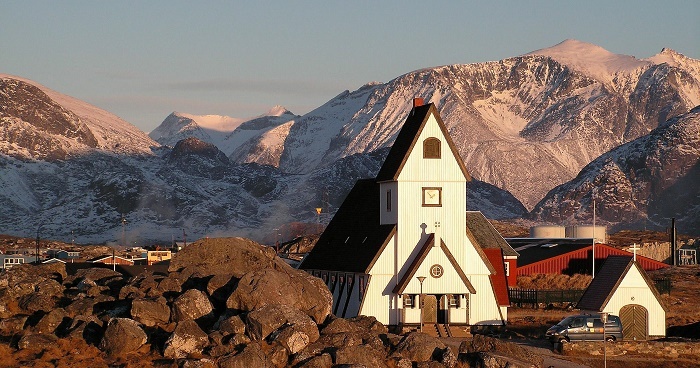 Still, the distinguishable exterior, is accompanied with the big boulder Knud Rasmusen, which bears the name of the Greenland/Danish explorer and anthropologist, Knud Rasmusen. 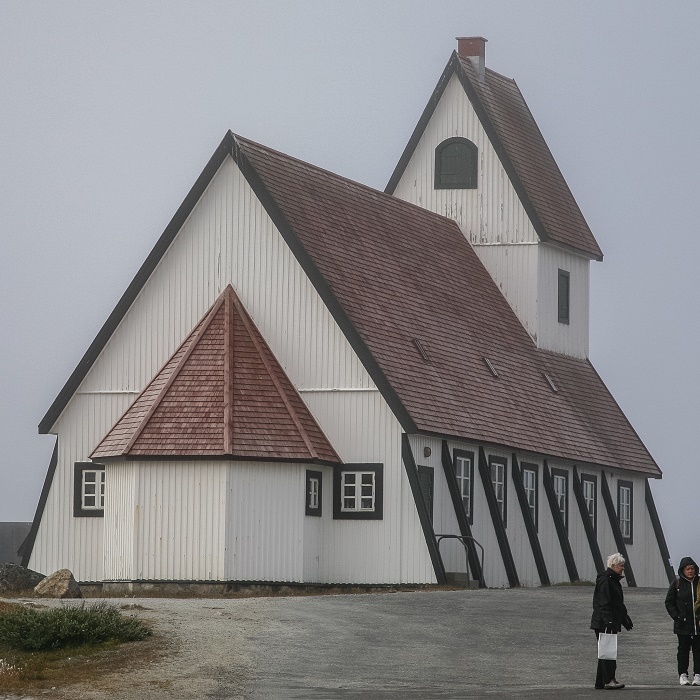 Nonetheless, not having the opportunity to visit this alluring building is such a pity, the main reason being the expensive travel costs, yet, seeing it on photos is something what would inspire travelers to start with exploration of other places.